1. Go to a page you would like to integrate with Salesforce. 3. 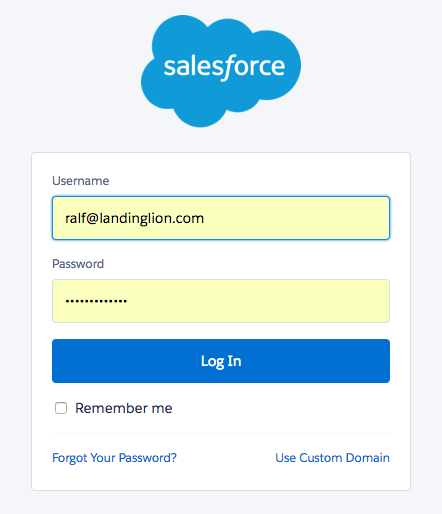 Scroll down to Salesforce and click the integrate button. ️ If you see this error and you have correctly entered your credentials, it is likely that you have not enabled API access in your account. Go to your user settings in Salesforce and make sure the API_Enabled checkbox is checked. ⚠️ Important: Please note that API enablement is only available on Salesforce Enterprise and Unlimited editions. That's it! Your form submissions will now be forwarded to your Salesforce account. ️Don't forget to map your form fields if you want to record more data from your form submissions.